that works for versions from 9.4 until 11. Using pglogical, you can easily replicate PostgreSQL 9.4 to PostgreSQL 11.
, you may refer to our previous blog post. connected to the destination server. If there are no modifications required, the globals can be directly piped to the destination server using the command in the next example. Since this is a plain SQL dump file, it can be fed to psql for restore. if you are performing an upgrade to a remote database server. We’ve integrated Query Analytics into Metrics Monitor, and it appears as a separate dashboard known as PMM Query Analytics. 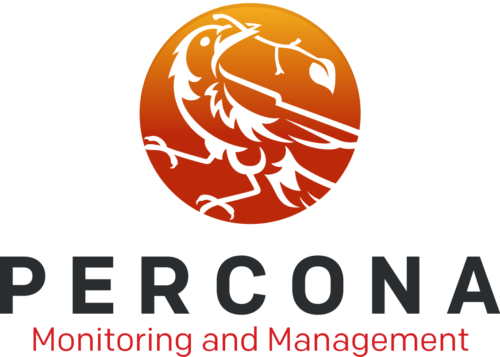 With this release, Percona Monitoring and Management introduces a new deployment option via AWS Marketplace. This is in addition to our distribution method of Amazon Machine Images (AMI). We have upgraded Grafana and Prometheus in this release. PMM now includes Grafana 4.6.1. One of the most prominent features that the upgraded Grafana offers is the support of annotations. You can mark a point or select a region in a graph and give it a meaningful description. For more information, see the release highlights. Prometheus version 1.8.2, shipped with this release, offers a number of bug fixes. For more information, see the Prometheus change log. PMM-1258: The DISABLE_UPDATES option enables preventing manual updates when PMM Server is run from a Docker container. PMM-1669: The representation of numeric values in the Context Switches graph in the System Overview dashboard was changed to improve readability. PMM-1549: The authentication of the mongodb:queries monitoring service did not work properly when the name of the database to authenticate was not provided. 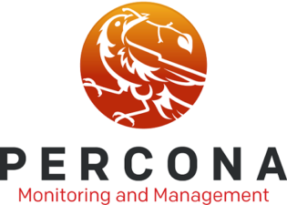 The list of attached monitoring services is now available not only in the tabular format but also as a JSON file to enable automatic verification of your configuration. To view the list of monitoring services in the JSON format run pmm-admin list --json. In this release, Prometheus and Grafana have been upgraded. Prometheus version 1.7.2, shipped with this release, offers a number of bug fixes that will contribute to its smooth operation inside PMM. For more information, see the Prometheus change log. New query editor for Prometheus expressions features syntax highlighting and autocompletion for metrics, functions and range vectors. Query inspector provides detailed information about the query. The primary goal of graph inspector is to enable analyzing a graph which does not display data as expected. The complete list of new features in Graphana 4.5.0 is available from What’s New in Grafana v4.5. PMM-1520: Prometheus upgraded to version 1.7.2. PMM-1521: Grafana upgraded to version 4.5.2. PMM-1091: The pmm-admin list produces a JSON document as output if the --json option is supplied. 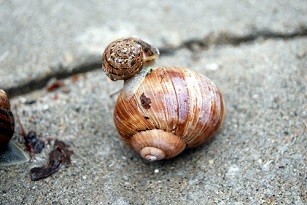 PMM-507: External exporters are supported with pmm-admin. PMM-1622: docker images of PMM Server are available for downloading as tar packages. PMM-1553: Consul upgraded to the 0.8 release. PMM-1172: In some cases, the TABLES section of a query in QAN could contain no data and display the List of tables is empty error. The Query and Explain sections had the relevant values. PMM-1519: A Prometheus instance could be forced to shut down if it contained too many targets (more than 50). When started the next time, Prometheus initiated a time-consuming crash recovery routine which took long on large installations. PMM-1529: When the user selected “Today”, “This week”, “This month” or “This year” range in Metrics Monitor and clicked the Query Analytics button, the QAN page opened reporting no data for the selected range even if the data were available. PMM-1528: In some cases, the page not found error could appear instead of the QAN page after upgrading by using the Upgrade button. PMM-1498 : In some cases, it was not possible to shut down the virtual machine containing the PMM Server imported as an OVA image. 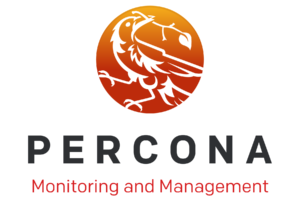 Percona announces the release of Percona Monitoring and Management 1.2.2 on August 23, 2017. This release contains bug fixes related to performance and introduces various improvements. It also contains an updated version of Grafana. PMM-927: The error “Cannot read property ‘hasOwnProperty’ of undefined” was displayed on the QAN page for MongoDB. After enabling monitoring and generating data for MongoDB, the PMM client showed the following error message on the QAN page: “Cannot read property ‘hasOwnProperty’ of undefined”. This bug is now fixed. PMM-949: Percona Server was not detected properly, the log_slow_* variables were not properly detected. PMM-1081: Performance Schema Monitor treated queries that didn’t show up in every snapshot as new queries reporting a wrong number of counts between snapshots. PMM-1272: MongoDB: the query empty abstract. This bug is now fixed. PMM-1277: The QPS Graph had inappropriate Prometheus query. This bug is now fixed. PMM-1279: The MongoDB summary did not work in QAN2 if mongodb authentication was activated. This bug is now fixed. PMM-1284: Dashboards pointed to QAN2 instead of QAN. This bug is now fixed. The root password can only be set from the console. If the root password is not changed from the default, a warning message appears on the console requesting the user to change the root password on the root first login from the console. Web/SSH users can neither use the root account password nor detect if the root password is set to the default value. Percona announces the release of Percona Monitoring and Management 1.2.1 on August 16, 2017. This hotfix release improves memory consumption. PMM-1280: PMM server affected by nGinx CVE-2017-7529. An integer overflow exploit could result in a DOS (Denial of Service) for the affected nginx service with the max_ranges directive not set. This problem is solved by setting the set max_ranges directive to 1 in the nGinx configuration. PMM-1232: Update the default value of the METRICS_MEMORY configuration setting. Previous versions of PMM Server used a different value for the METRICS_MEMORY configuration setting which allowed Prometheus to use up to 768MB of memory. PMM Server 1.2.0 used the storage.local.target-heap-size setting, its default value is 256MB. Unintentionally, this value reduced the amount of memory that Prometheus could use. As a result, the performance of Prometheus was affected. To improve the performance of Prometheus, the default setting of storage.local.target-heap-size has been set to 768 MB. In this blog post, I’ll look at a trick we use at Percona when upgrading to MySQL 5.7. I’ll be covering this subject (and others) in my webinar Learning MySQL 5.7 on Wednesday, July 19, 2017. We’ve been doing upgrades for quite a while here are Percona, and we try to optimize, standardize and improve this process to save time. When upgrading to MySQL 5.7, more often than not you need to run REPAIR or ALTER via mysql_upgrade to a number of MySQL tables. Sometimes a few hundred, sometimes hundreds of thousands. error    : Table upgrade required. Please do "REPAIR TABLE `agency`" or dump/reload to fix it! error    : Table rebuild required. Please do "ALTER TABLE `categories` FORCE" or dump/reload to fix it! On a cold server, my baseline above took about 25 minutes. Getting some parallelization is not bad, and the process improved by about 38%. If we are talking about multi-terabyte data sets, then it is already a big gain. Now my table-sizes.sql file will have contents like below, which I can sort and pass to the parallel command again and cut even more time! The whole process should be easy to automate and script, depending on your preference. Lastly: YMMV. If you have one table that is more than half the size of your total data set, there might not be big gains. If you want to learn more about upgrading to MySQL 5.7, come to my webinar on Wednesday, July 19: Learning MySQL 5.7. This process is only one of the phases in a multi-step upgrade process when moving to 5.7. I will discuss them in more detail next week. Register now from the link below, and I’ll talk to you soon!